The word �shaman� means �one who sees in the dark.� Shamans consciously choose to live in two different worlds at the same time. They have one foot here in the everyday world and one foot in the world of the spirits. The fact is, we all live in these two different worlds, but are commonly not aware of the other, less visible one. This world does not exist in some other place, but is right beside us, just outside of our usual perceptions. 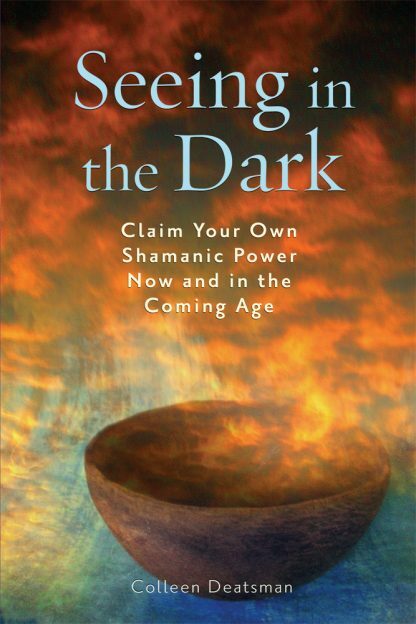 Seeing in the Dark is a definitive source for personal shamanism and not only provides the tools and techniques of the shaman, but presents the wisdom tradition, awareness paradigm, and shamanic way of life. The powerful shamanic path has weathered the cataclysmic changes of over 50,000 years of human history and is even more vital and relevant today. In times when stress, tension, and the fast pace of life overwhelm us, this path shows us how to slow down, reconnect to the sacred, and harness our personal power�skills that will be needed for the uncertain days ahead. Included in this book are over 100 easy-to-follow exercises that teach important survival skills for the coming changes of 2012 and beyond. The world is changing [and] in the midst of devastating change, what can we do? In short, we can become more connected, more self-reliant, and unswervingly responsible for ourselves. If everything changes, where can we look to find an immutable constant that has weathered the ravages of time? The answer to that question is shamanism. Colleen Deatsman is a licensed professional counselor, licensed social worker, Usui Reiki master, certified clinical hypnotherapist, certified alternative healing consultant, and shamanic practitioner. She has been exploring health and wellness, self-healing, personal growth, and spiritual development for over twenty-five years.